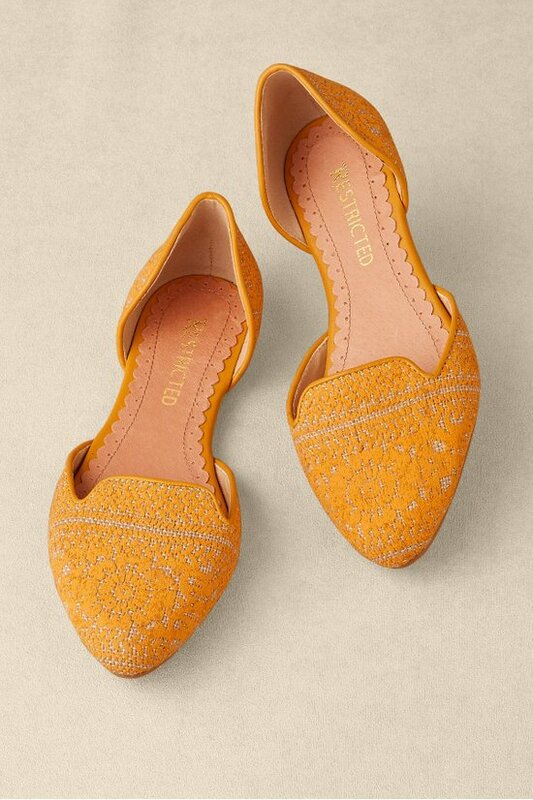 Printed medallions and geometric patterns cover these natural fabric flats with d'orsay styling and a pointed toe. A padded footbed keeps feet comforted, and a rubber sole keeps you grounded. 1/4" heel.